“The Winds of Winter” is still not around and although many fans are disappointed, they still held on and continue to wait patiently. The only thing that is comforting the fans right now is George RR Martin’s promised that he will finish the book and will focus on it now. The author previously shared that he can’t blame the fans for their anger because he himself is frustrated as well for “The Winds of Winter” is still incomplete even after many years. The 70-year-old admitted that he is upset at himself because he could have finished the book a long time ago. In any case, while “The Winds of Winter” is still in the works, the “Game of Thrones” series is already ending. This April, the eight and final season of the historical drama will premiere on HBO. Now, in connection with this, it was reported that the ending was already revealed even before the “A Song of Ice and Fire” book series was adapted for television via the “Game of Thrones” series. So, how did this happened? 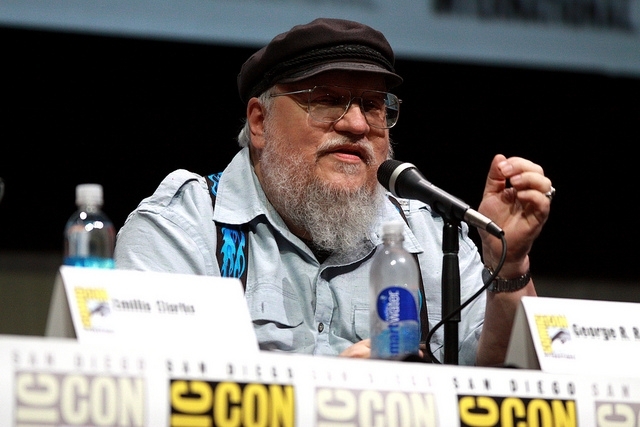 This Is Insider reported that when George RR Martin published his “A Song of Fire and Ice” series, he wrote a letter to the publisher which also contain the author’s original outline for the novel. Apparently, his plans for the story were mentioned in the note so the ending was also mentioned. However, it was said that although Martin may have shared his plans for his books, it is possible that the TV adaption may feature a different ending for “Game of Thrones,” thus it is not sure if the original plot would still be followed. Fans will just see if it was indeed changed once “GoT” airs on HBO.